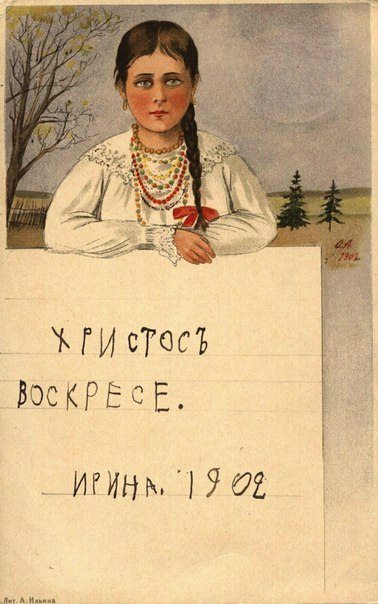 Easter postcard drawn by Grand Duchess Olga Alexandrovna and signed “Christ Has Risen. Irina, 1902”, signed by Princess Irina Alexandrovna, first cousin of Grand Duchesses Olga, Tatiana, Maria and Anastasia. 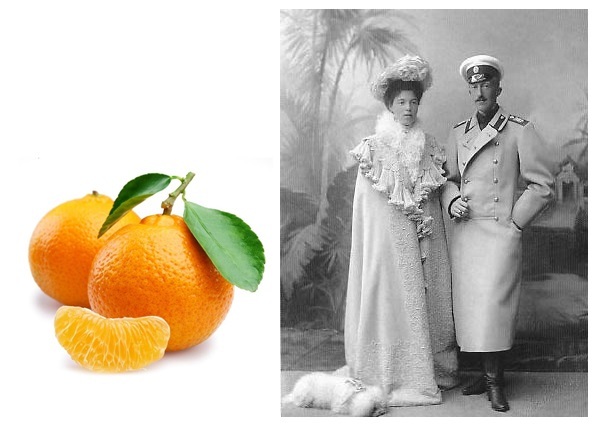 Grand Duke Peter of Oldenburg (right), the first husband of Grand Duchess Olga Alexandrovna, sister of Tsar Nicholas II, was the Romanov family member who introduced mandarin oranges into Russia. New Year celebrations are arguably the most major holidays in modern Russia. One of the traditional treats on a Russian New Year’s table are mandarin oranges. This fruit was not native to Russia – it was introduced only a few years prior to the Russian revolution – by a member of the Romanov family Grand Duke Peter of Oldenburg, a great grandson of Tsar Nicholas I and first husband of Grand Duchess Olga Alexandrovna, sister of Tsar Nicholas II. 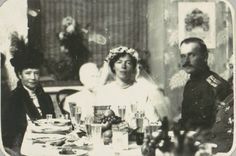 Grand Duchess Olga Alexandrovna with her new husband, Nikolai Alexandrovich Kulikovsky. Nikolai Alexandrovich Kulikovsky (5 November 1881- 11 August 1958) was a Russian nobleman and military man. 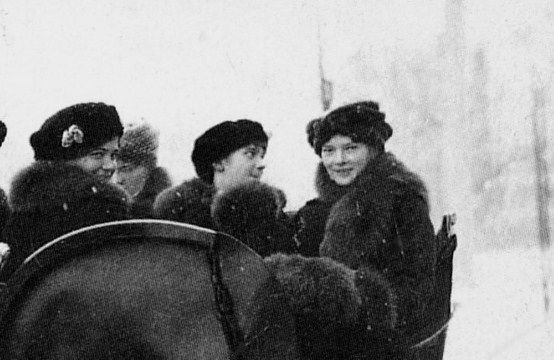 Educated at the Gurevich School in St. Petersburg and later at the Nicholas Cavalry School (1900-1902), Kulikovsky joined Her Majesty’s Own Life-Guards Cuirassiers Regiment upon graduation. 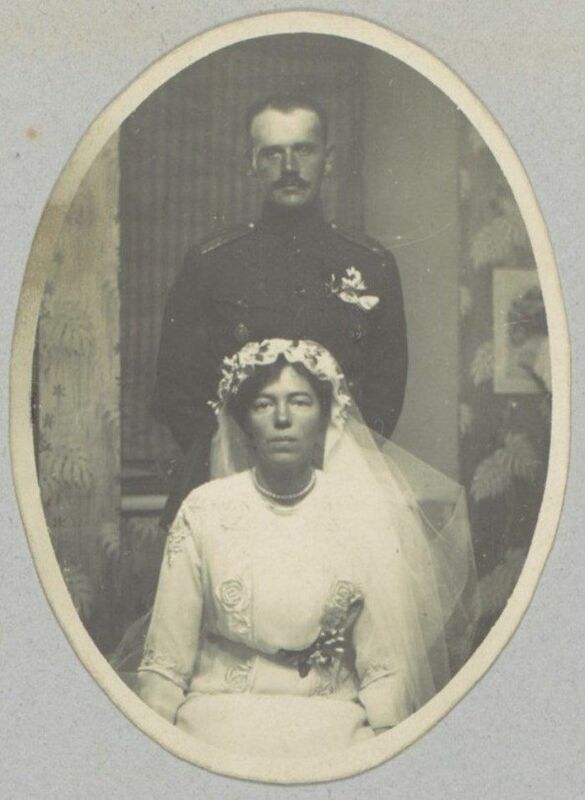 In 1903, Kulikovsky met Grand Duchess Olga Alexandrovna at a military parade, and from then on, the couple drew closer, despite the fact that Grand Duchess Olga was already (unhappily) married to her cousin Duke Peter of Oldenburg. In 1906, Kulikovsky was appointed the Duke of Oldenburg’s aide, and their relationship became a decorous open secret. 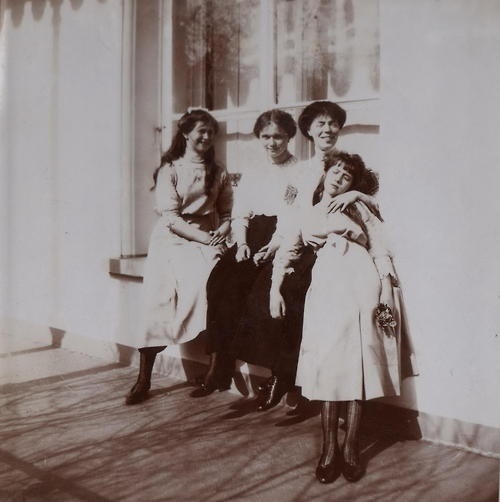 Grand Duchess Olga with her aunt and namesake Grand Duchess Olga Alexandrovna and her two sisters Grand Duchesses Maria and Anastasia.